This review first appeared in the November 2010 issue of hi-end hifi magazine High Fidelity of Poland. You can also read this review of the Synergy Hifi 6F3 in its original Polish version. We publish its English translation in a mutual syndication arrangement with publisher Wojciech Pacula. As is customary for our own reviews, the writer's signature at review's end shows an e-mail address should you have questions or wish to send feedback. All images contained in this review are the property of High Fidelity or Synergy Hifi - Ed. Readers of 6moons and High Fidelity should already be familiar with the Synergy Hifi brand. We jointly reviewed their fantastic Create Audio 300Bs. I also commented about their fuses in the context of the Leben CS-300 XS SP. The appearance of an amplifier in their portfolio now was unexpected. That’s because Synergy Hifi isn’t a manufacturer per se. They don’t operate their own factory. Instead they rely on a wealth of Chinese resources and suppliers. Those constitute a world of opportunity not just for audio. In China after all you can manufacture everything - and at a lower cost than pretty much anywhere else. From that perspective Synergy Hifi is no different than companies like Apple, Dell, NAD, Sony, Denon, Harman/Kardon, Cambridge Audio, Marantz, Arcam and even Krell (just to name a few and without getting into loudspeakers). In this business model the customer designs or specifies the product, the supplier manufactures it as an OEM. Often the supplier proposes an existing platform that then is merely modified to suit the customer’s specific needs and application. That’s perfectly common today. Synergy Hifi has one competitive advantage in this scheme by operating out of the same country as its suppliers. This improves communications, general interactions, response time to changes, quality control and pricing. 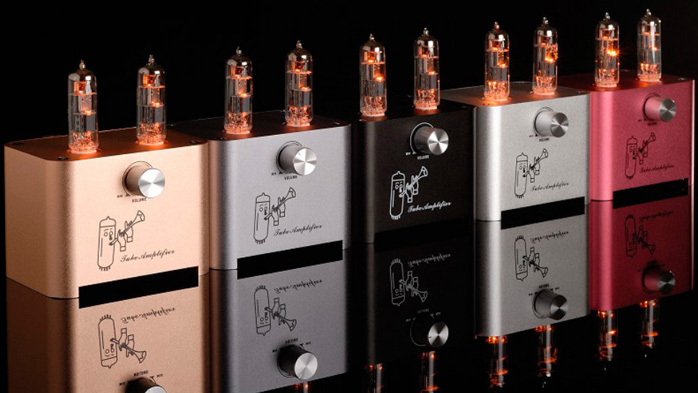 Synergy Hifi contracts with tube giant Shuguang for its valves and with APPJ for its 6F3 amp. The latter firm also manufactures for the Chinese MiniWatt brand as covered in Sam Tellig’s column for the Stereophile issue 33 N°.8 on the N3 amp. On page 22, he proposed that the MiniWatt N3 might be "the smallest amplifier in the world". The 6F3 proves it wasn’t. Another thing Tellig wrote deserves comment. He claimed that the N3 was designed by MiniWatt owner Derek Shek. About that Dr. Ningsheng Liu of Synergy Hifi laughed his evil laugh and explained that "I know how they tell everyone that they designed the amplifiers. But it’s not true. APPJ designed and built the N3 just as they do our 6F3." In fairness, Derek Shek’s name was probably mentioned in the context of split design contributions between OEM and client. 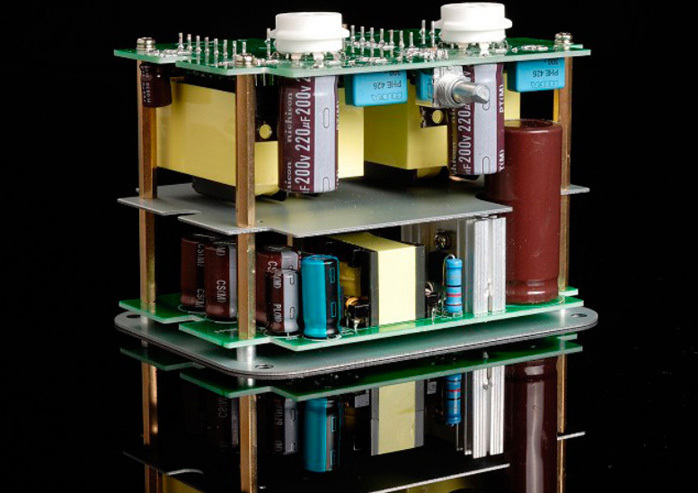 It seems Mr. Shek was involved in designing a universal switching power supply for APPJ’s amp platform to eliminate big transformers and operate from 100 – 230V without adjustments. At least that’s how I understand the story though I shall never know the exact details. That said, I did get an amplifier to listen to. The concept for it is brilliant in its simplicity. This thing is really tiny and fits in the palm of your hand. It is beautifully made from curved aluminium and anodized in either silver, gold, black, red or steel gray. 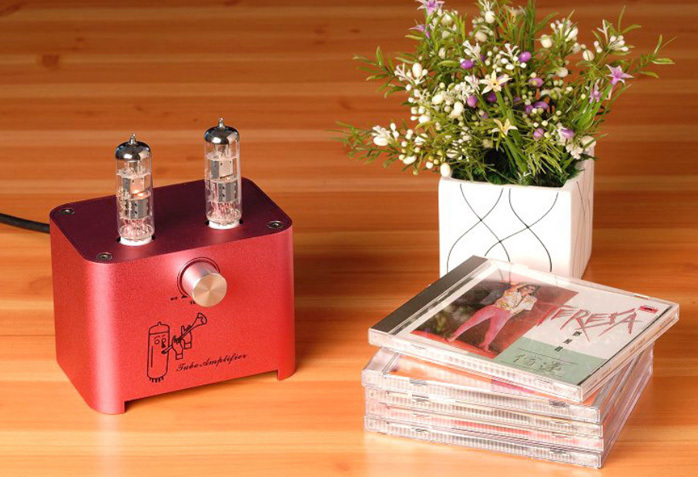 The amplifying element is pure tube and one 6F3 per side which also led to the amp's name. While looking like an EL84, these are actually a triode and pentode inside a common bulb and as such similar to an ELC82 or ECL86 as used in many Euro amps like Audio Note’s Zero.